I know my pleading may be a little odd, but trust me when I say you’re going to want to make this latest recipe of mine. You see, I made the turkey for Thanksgiving this year and decided, after planning to but ultimately never getting to it last year, making a slow cooker turkey broth out of the leftover turkey bones. And of course, I just had to add some Latin-inspired spice to it, which is why I cooked it with the makings of the traditional Cuban sofrito: onion, bell pepper and garlic. Okay, it’s been a while since I’ve broken out my slow cooker. It usually comes out earlier in the Fall since I love to make apple butter and soups in it, but this year has been a little slower than usual. It’s no matter, though. There’s no time like the present to break out this simple cooking device and make something that we all need: turkey broth. Hear me out: we all do something with turkey leftovers, don’t we? There’s the classic sandwich, maybe a turkey salad or adding turkey to your pasta dish. All of that is great but the more I cook, the more I really want to waste less. Taking the bones from your turkey and turning them into broth just seems like the ideal next step to me. I mean, what else will you do? Throw them out? Heck no! Instead, make your own broth that you can keep and use in the future. It’ll be much healthier (and better tasting) than packaged broths. It’ll have your own unique flavor and, best of all, you’ll be able to keep it in your freezer for months. My personal plan is to make some soups in the new year, or maybe add it to a chili? I’m not sure yet. But you can bet that, whatever I make, it’ll be really, really good. 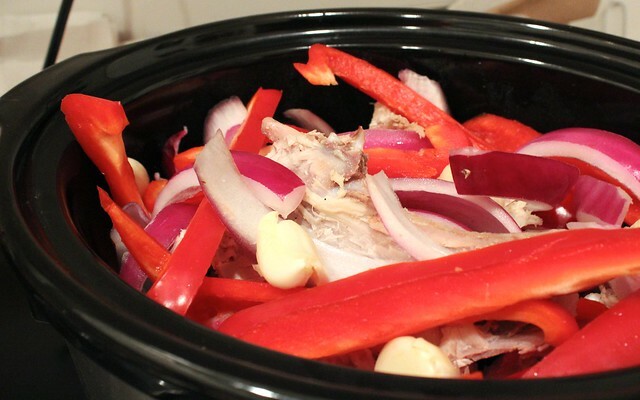 Spray a 4.5 quart slow cooker with olive oil. Gently place your cleaned turkey carcass, or leftover turkey bones, on the bottom. Put in the onion, tucking some in crevices and under the bones. Do the same with the bell pepper, then the garlic cloves. Finally, add water until the slow cooker is almost full (about 12 cups). Set it to cook for 6 hours on Low. If desired, keep it on for another 2 hours on warm to let the flavors develop. Once the broth is done, use a fine strainer to separate the turkey bones and veggies from the broth. 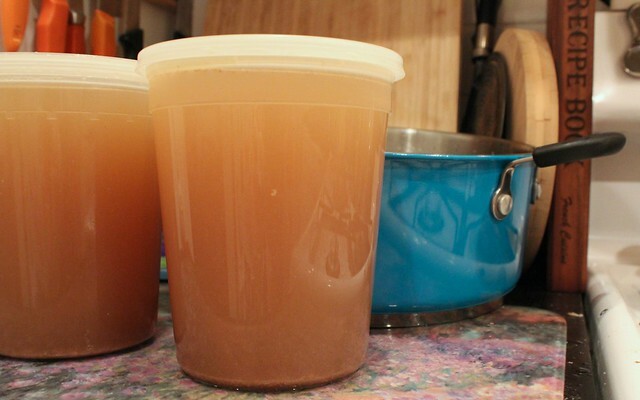 Store the broth in airtight containers in the fridge for up to 2 weeks and in the freezer for up to 4 months. What did you do with your post-Thanksgiving leftovers? 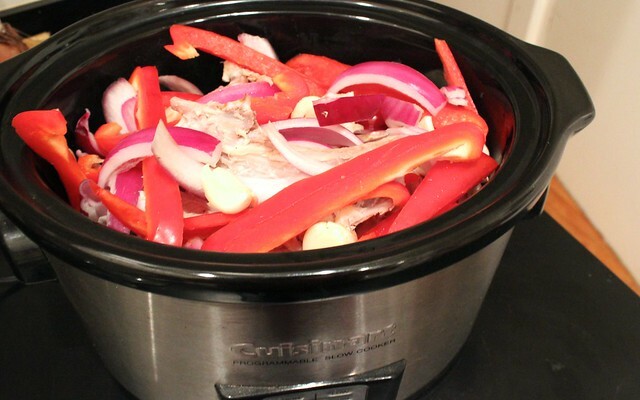 This entry was posted in Cuban, DIY, Fall, Gluten-Free, Holidays, Poultry, Slow Cooker and tagged broth, cuban, gluten-free, slow cooker, turkey by Irina Gonzalez. Bookmark the permalink.